Get fast results in the privacy of your home with our Home Hair Drug Testing Kit. Get fast results in the privacy of your home with our Home Hair Drug Testing Kit. Simple and discrete, the in-home hair sample collection kit comes with everything you need to prepare a sample and have the hair tested in a certified laboratory. 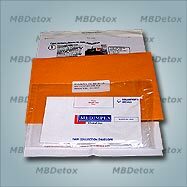 Simply cut a small sample of hair, fill out the included paper work, and send away to the laboratory using the self-addressed envelope. Laboratory turn around time is typically 48 hours after receiving your sample and results can be provided over the phone. If you are worried about privacy, forms can be filled out using unidentified names such as John and Jane Doe, keeping your test completely confidential.